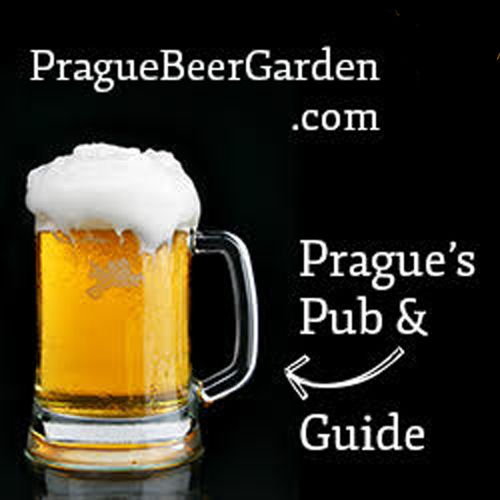 Is this Prague’s most expensive beer? Begrudging respect to Prague airport for having the brass neck to charge a whopping 145 crowns for half a litre of Pilsner Urquell (regular price around 30 crowns). That’s around 6.23 euros, 7.49 US dollars or 4.72 Great British pounds — a hefty price tag even in The Affluent West. Email photographic evidence to praguepig@gmail.com and PraguePig.com will send you one of its shiny new badges. • Thanks to Theo S. for the find and the photo! 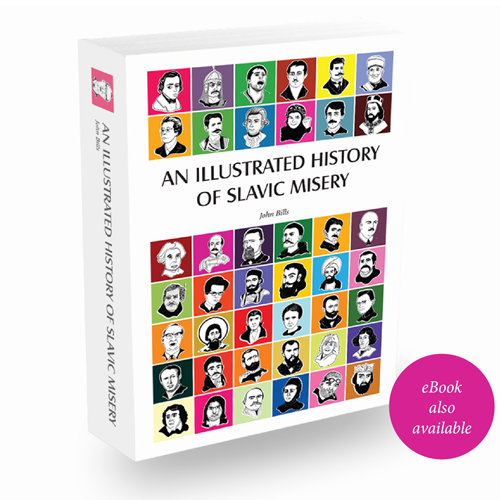 Paradoxically, on my last visit to Prague I was thinking how the bubble had burst. At the “buy all your stereotypical Czech crap” shop in the airport they were selling 0.5l cans of pilsner for 50kr. Given that you’ll probably pay nearly 40 in central Prague (non-tourist) bars I thought that was astonishingly cheap. 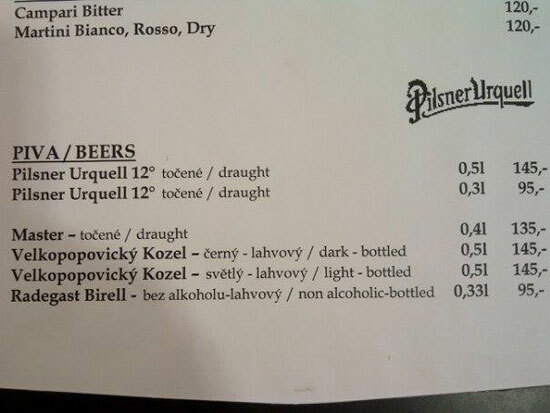 I remember paying 70kr for my first Czech beer in Prague, at the public bar at the airport. This was when I could buy the same for 20kr in normal pubs. So the 3.5-ish multiplier seems almost constant. Neil has the right idea … it’s the cheapest beer at the airport! In my 4 years in Prague I don’t recall being ripped off for beer. Then again I didn’t frequent posh places. I do however remember brazen signs in some bars with signs stating two prices – one for Czechs, one for foreigners (more expensive of course). I think these prices may have come down – I’m sure I paid the equivalent of around £7 for a beer at the Pilsner Urquell bar in Prague airport about 3 years ago when my plane was delayed because of snow. I still remember the look on the face of the barmaid as she registered the shock on my face!